In anticipation of this year’s Goed Geld Gala (‘Charity Gala’) the Dutch Postcode Lottery announced Commonland will be granted EURO 1,394,000 for direct restoration of the South African Baviaanskloof landscape over the next three years. During the Goed Geld Gala on February 15th, it was proudly announced that a record amount of money will be going to charity organizations working on creating a better world. 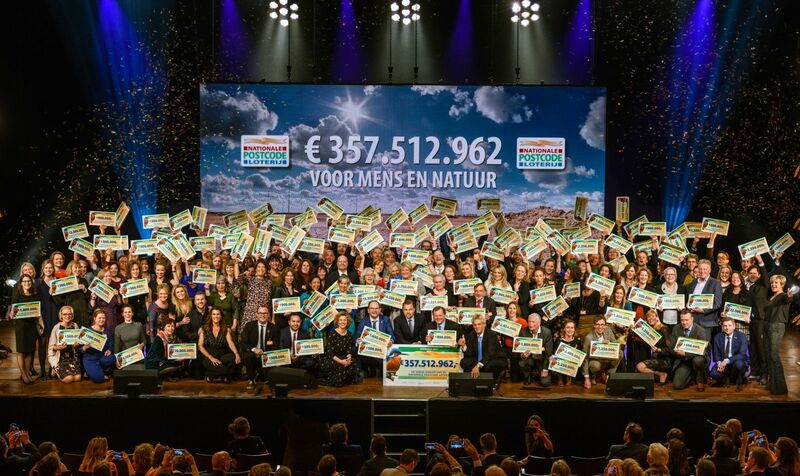 Thanks to the 2,9 million participants of the Dutch Postcode Lottery, more than 357 million euros were donated to 112 different charity organisations. On Friday, the 9th of February, Dutch celebrity Winston Gerschtanowitz, on behalf of the Dutch Postcode Lottery, surprised Commonland in their Amsterdam Office in anticipation of the Goed Geld Gala. Their golden envelope contained a generous donation of 1,39 million euros. On behalf of Commonland, co-founder Michiel de Man accepted the symbolic cheque. 'We are enormously grateful to everyone who participates in the Dutch Postcode Lottery for making this possible: this allows us, together with our partners Living Lands and Grounded, to kick-start one of the largest private nature restoration efforts in South-Africa and also functions as an impetus for accelerating the establishment of a local restoration economy". The Baviaanskloof is a pristine and relatively unexplored landscape of great beauty; thanks to its exceptional biodiversity it is one of South-Africa's largest protected natural areas. It is also part of the Port Elizabeth water catchment on which over a million people are dependent, and it is of crucial importance for agriculture and the production of food. However, for various reasons, including climate change, large parts of the area are affected by droughts and floods and are seriously degraded. The landscape is quickly losing its natural resilience and in order to prevent natural, social and personal crisis, action is needed now. This grant will make this possible. It will bring back millions of trees and ground cover on the bare land, contributing to not only the return of biodiversity, but also carbon capture and storage, job creation and, critical in South-Africa, improving sustainable water management. The Dutch Postcode Lottery will benefit all of these issues, and will allow us to accelerate the urgently needed transformation of the landscape. "This kick-starts one of the largest private nature restoration efforts in South-Africa and also functions as an impetus for accelerating the establishment of a local restoration economy."